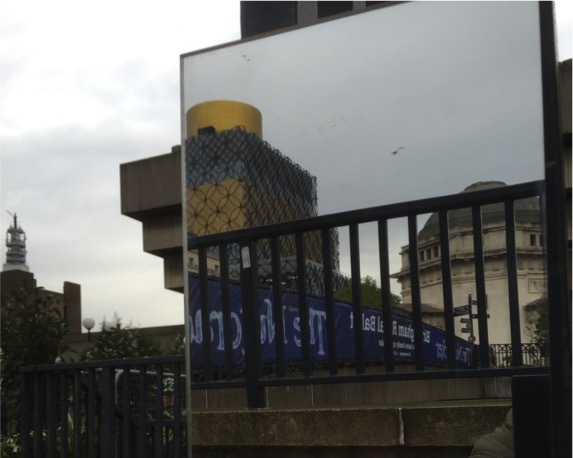 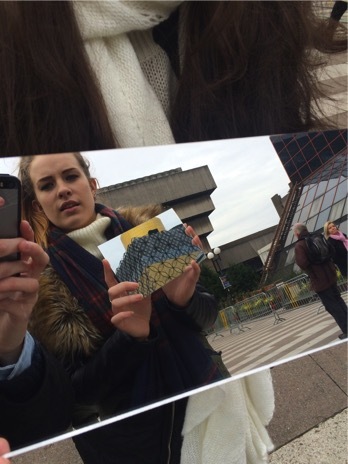 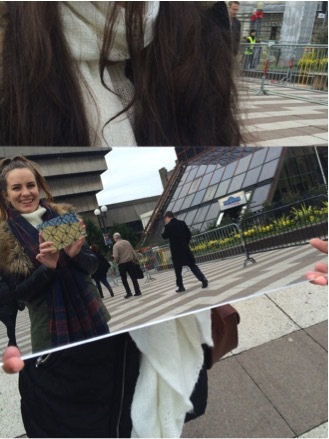 Using mirrors to create images within existing backgrounds. 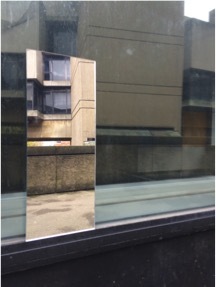 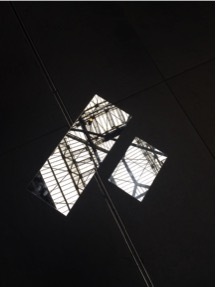 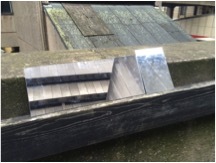 First we started off using a single reflecting surface to view hidden elements in and around the library. 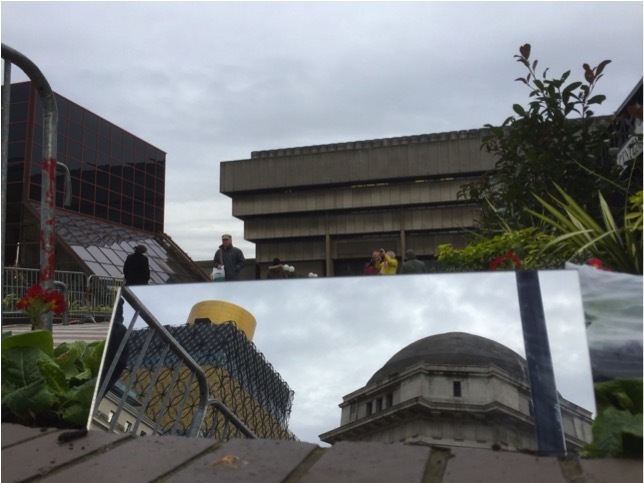 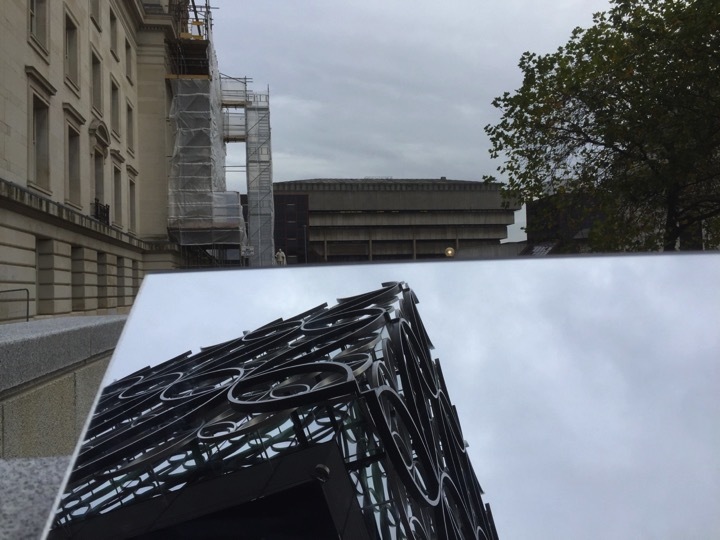 Then using two reflecting surfaces we tried to capture both the new and the old libraries to point out the similarities and key elements between the two.